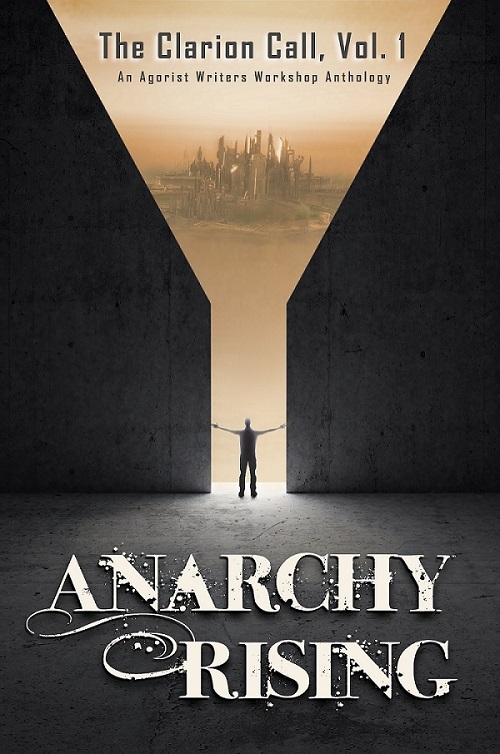 We are exceedingly pleased to announce that ‘Anarchy Rising’, Volume 1 of the Agorist Writers Workshop anthology series ‘The Clarion Call’ will be unveiled at AgoraFest 2015. The anthology contains eight short stories of worlds without nation states, worlds without arbitrary lines or colors on a map, and worlds where anything is possible. You are cordially invited to attend a special release party on Friday evening where you will be able to meet many of the authors and discover their visions of a libertarian future. The anthology will be available in print and e-book format at AgoraFest, and there will also be both a writers workshop and an organizational meeting where if you wish you will have an opportunity to participate in next year’s anthology!